Baron, one of TRC's education American kestrels and a part of our Adopt a Raptor program, would like you to know about our Kestrel Watch website. TRC, like many institutions, is gathering information from individuals like you who see kestrels. Some data suggests that the species may be in decline. Our website collects your observations such as if the bird was breeding, nesting or perching. We also have photos, video, and FAQ pages. 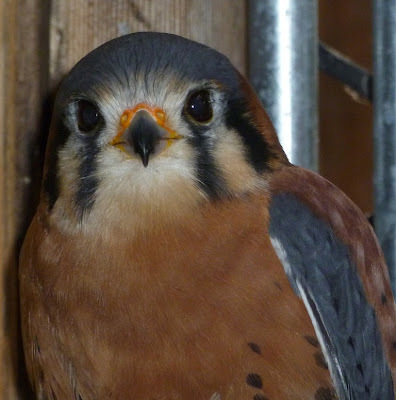 You can find other information on websites such as our own American kestrel page or the Peregrine Fund's American Kestrel Partnership.